Many of the buildings and streets in Skibbereen have direct links to the Great Hunger and there are numerous stories associated with each location. These sites and stories serve as palpable links to the suffering that individuals and families endured during the Great Irish Potato Famine. These Famine sites in Skibbereen still poignantly resonate today as the material remains of one of the darkest period’s in Irish history: – an Gorta Mór. 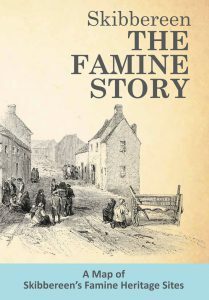 Use the ‘Skibbereen: Famine Stories’ map as your guide to Skibbereen’s Famine heritage sites. Available at Skibbereen Heritage Centre – 50c for visitors or €1 for non-visitors. 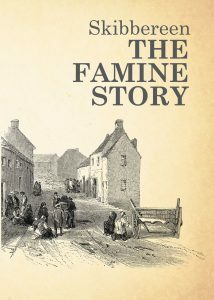 Short video clips showing Famine sites in Skibbereen.